What happens when you use a super-strong cell booster in a small space? A big booster in a small space can be a problem. It may seem like “more power” is always a better bet but when a cell booster is involved, more power could actually translate out to less power. Whether you do it on purpose or by accident, too much power in a cell booster is a problem. The first thing that will happen is that the anti-feedback circuitry in the booster will kick in and drop the power of the booster by 90% or more. Feedback in a cell booster happens when the outdoor and indoor antennas are so close that they begin to react to each other, just like someone standing with a microphone too close to a speaker. If this feedback were to get back to the local cell tower, the tower itself could burn out or at the very least all the calls going through that tower could be disrupted. That’s why today’s boosters use complicated anti-feedback technology to limit the possibility of feedback getting to the cell tower. Anti-feedback technology is usually not smart enough to give you “just enough” signal, though… it’s concerned with making sure the feedback goes away. 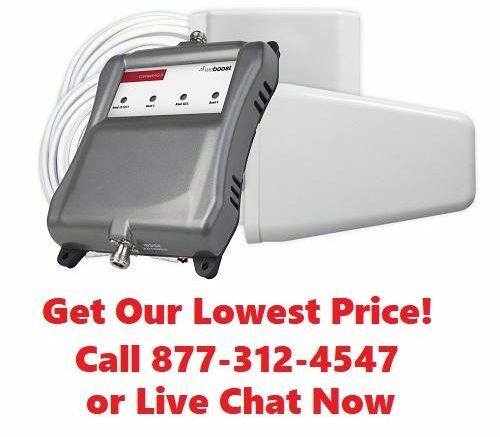 The advanced auto-gain-control technology in weBoost cellular signal boosters takes over where anti-feedback technology leaves off, constantly adjusting to offer the maximum usable power. You are required to register a new residential cell booster with your cellular carrier. The carrier won’t be able to say “no” to the booster unless they can prove it will be a problem, and all of our cell booster manufacturers have FCC-approved designs that are also pre-approved by the major cell carriers. The only way you would really run afoul of the carriers would be to use a heavy-duty industrial booster in something as small as an RV. On the extremely rare chance that there is a problem between the booster and the cell tower, the carrier has the right to ask you to disable the booster and you have to comply. However with anti-feedback technology that’s not likely to happen, and in fact our Solid Signal Blog staff only has heard of one case where a cell booster even came close to posing a hazard to a tower and it was a booster not sold by Solid Signal. You can use the boosters we offer with confidence. Sprint forms Special Committee to evaluate Dish merger proposal.